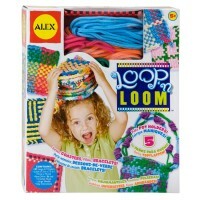 This award-winning children weaving craft kit by Alex will turn colorful yarns into scarf or hat, poncho or belt, and most certainly into hours of creative fun in your child's hands. 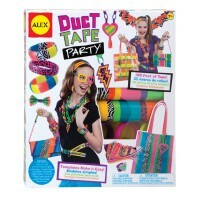 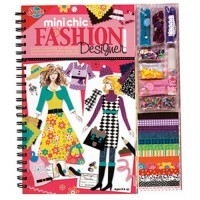 You don't have to be a fashion prodigy to enjoy this wonderful weaving craft set! 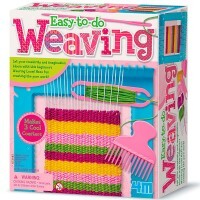 Everyone can weave! 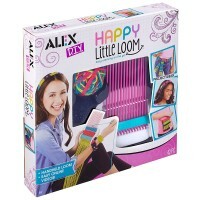 Fashion Weaving Loom Craft Kit by Alex is a introduction into textile textures, that you can try to create on your own. 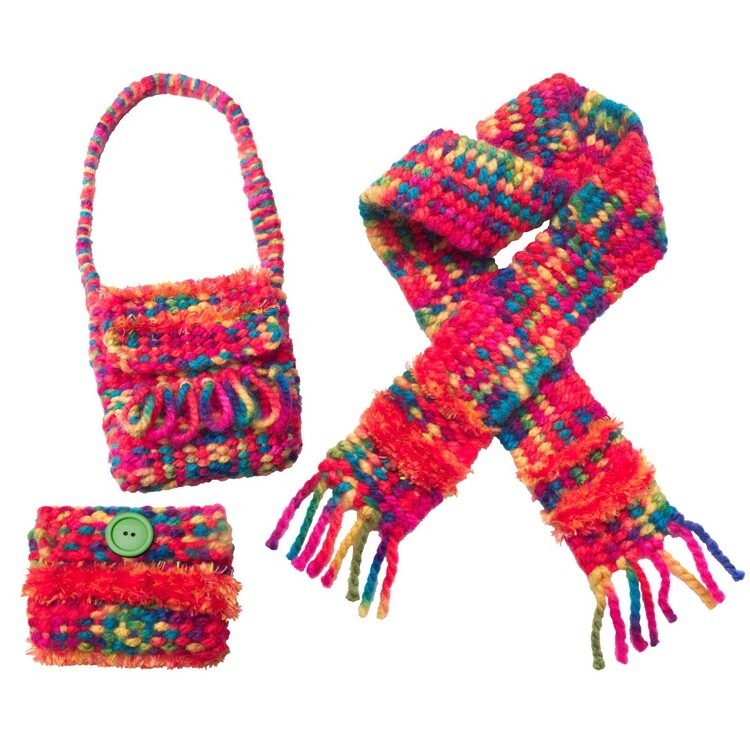 This weaving craft set it is so much fun to make accessories and clothing items with a little help from an easy to read instruction booklet! 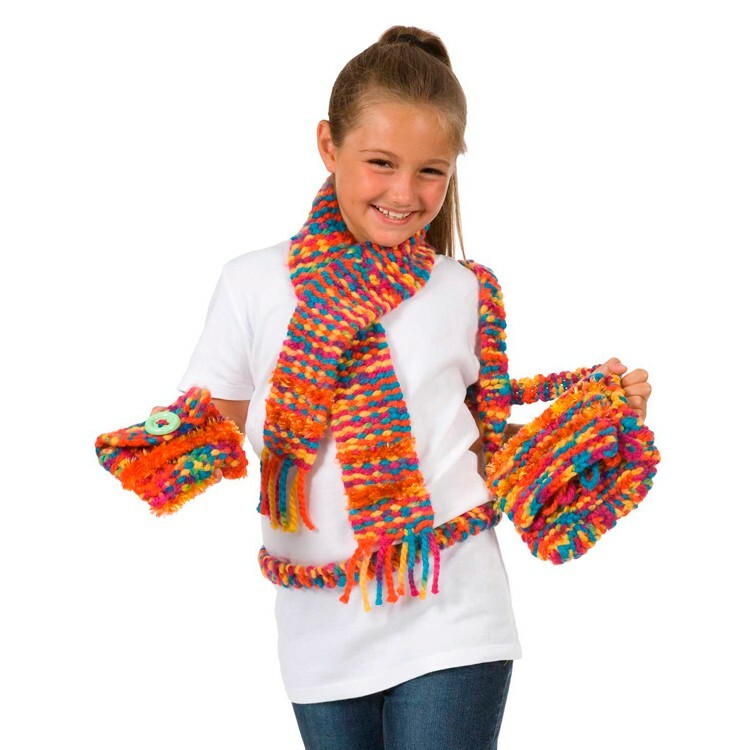 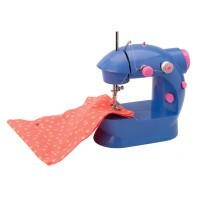 This award-winning children craft kit will turn colorful yarns into scarf or hat, poncho or belt, and most certainly into hours of creative fun in your child's hands. 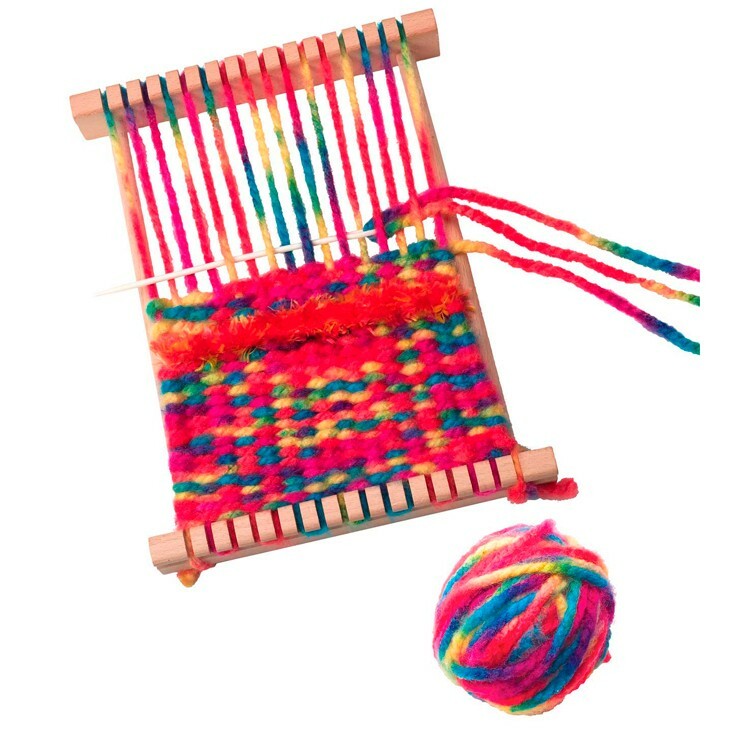 This young artist or fabric designer must-have comes with 75 yards of thick rainbow yarn, 10 yards of super soft fluffy yarn, 6mm weaving needle, and a super safe 2.75 stitching needle, a loom comb, and fun supplies to aid the making of your stylish masterpiece! 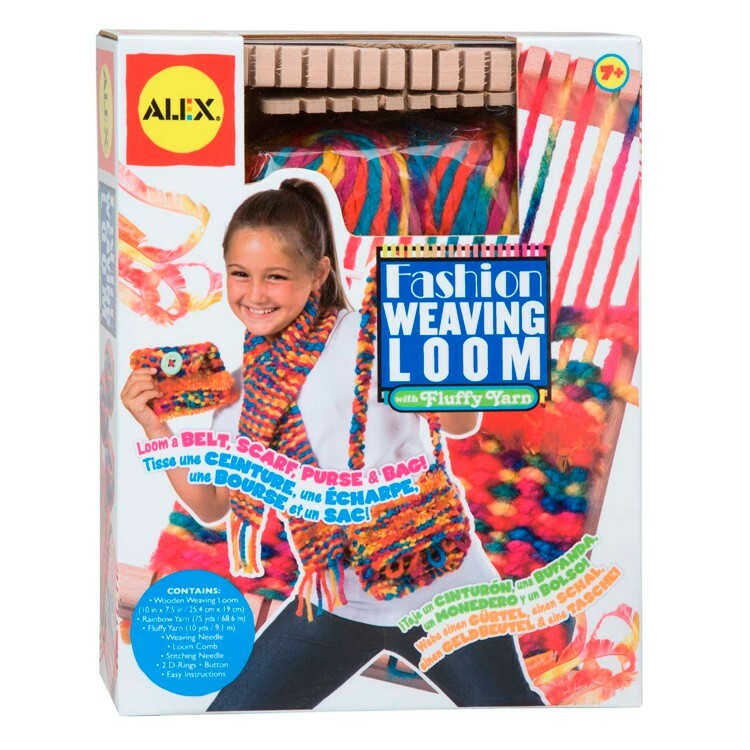 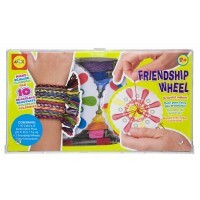 Fashion Weaving Loom Craft Kit from Educational Toys Planet is also a great idea to teach your child about fabric, and history of textiles. 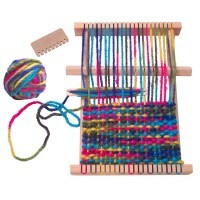 Dimensions of package 8.66" x 11.02" x 2.76"
Write your own review of Fashion Weaving Loom Craft Kit. 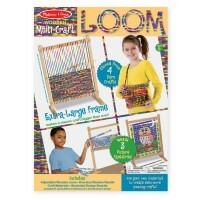 Rating: 5 by Joelle, CT I bought it for my daughter's history project - about weaving in Ancient Egypt. 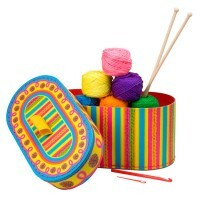 My daughter loved this craft, and had fun presenting it.